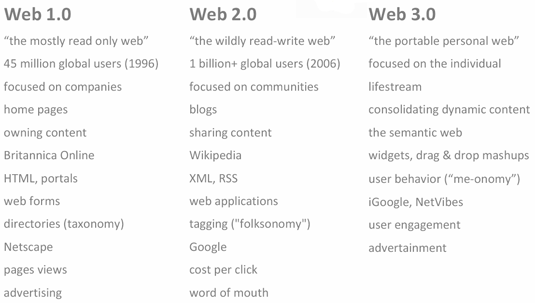 Web 1.0 – That Geocities, Hotmail era was all about read-only content and static HTML websites. People preferred navigating the web through link directories of Yahoo! and dmoz.